We are starting the BM 30th Edition today. Never thought we would come this far when I started this marathon in 2011. However this has really got in so much in terms of friends, learning and what not. And I have also realized that when you focus and plan well, things work out fine. Though planning on the themes are either abrupt or well thought of, finally after taking up a theme, it takes lot of efforts to match the recipe to the theme. The base rule being one can’t simply share a simple recipe, however if it’s cuisine specific, one can still do as a learning referance. On this front, we have learnt so much and still willing to learn more. For the first week, I decided to do Kid’s Delight Finger Food for Kid’s party. This edition is hosted by Kalyani and I selected to do this as it ends up being the most wanted theme at my place. Unlike the last couple of months, I am starting this edition without any preparation. Though today’s recipe is a spill out of many months ago, meaning I had selected to make this for a different theme, I couldn’t do it. time left and the fact that this needs to be approved. sauce, however when he dipped it with the churros, he was very happy. disappear as quickly as you made! 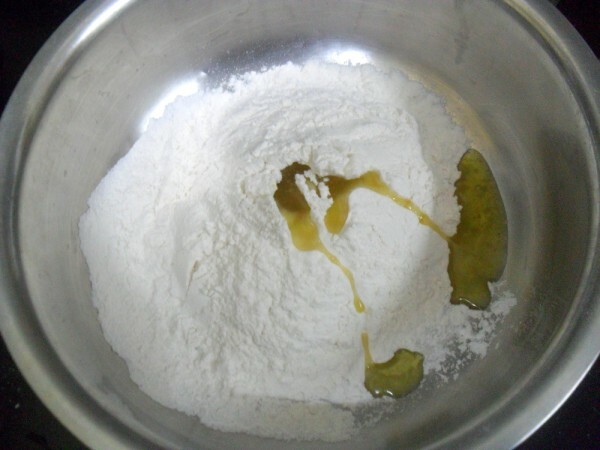 In a bowl, take the flour along with baking powder, salt and slowly add water to knead to a soft dough. Heat a kadai with oil for deep frying, simmer until your dough is ready. 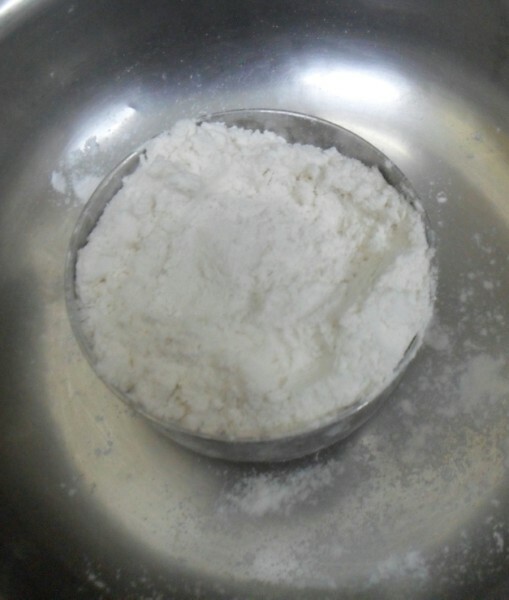 Fill the dough into the muruku achu fitted with a single star mould. 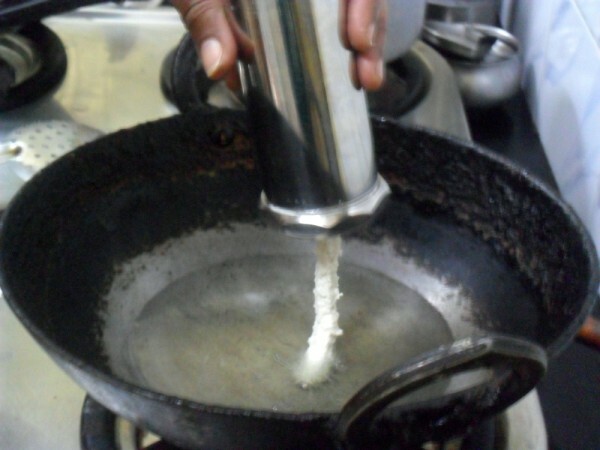 When the oil is hot, reduce to medium flame, and keeping the press over the oil, press it down into the oil. You can cut it when it falls to the required length. 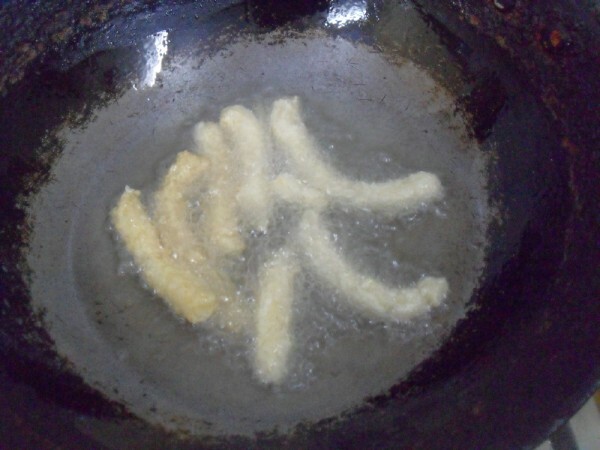 Fry on all sides to a golden colour. Drain on to a kitchen towel. 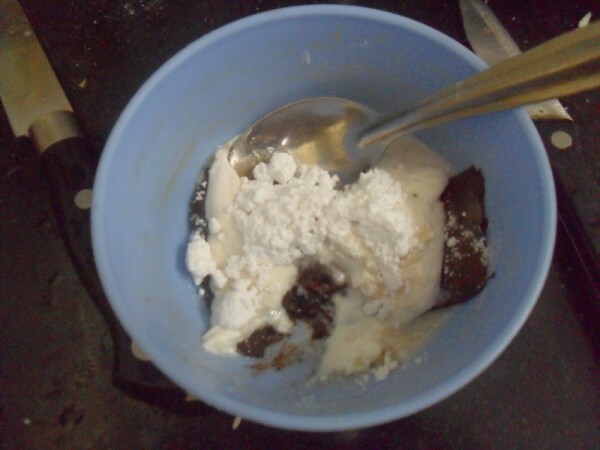 When you are done with the entire batch, sprinkle the sugar and cinnamon powder on the top and serve with chocolate sauce. 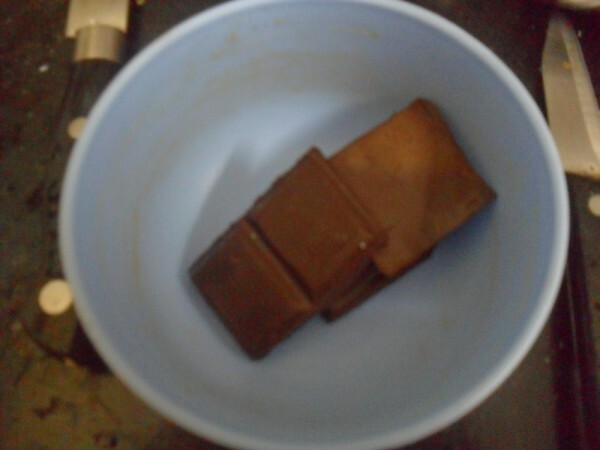 MW the chocolate bars till soft. It took me a minute to get it soft. Mix in the cream, sugar and honey and beat well. For the churros, if you want you can press out the churros on a plate and drop them gently into the oil. Since it expands very quickly you have more dough then you started with. 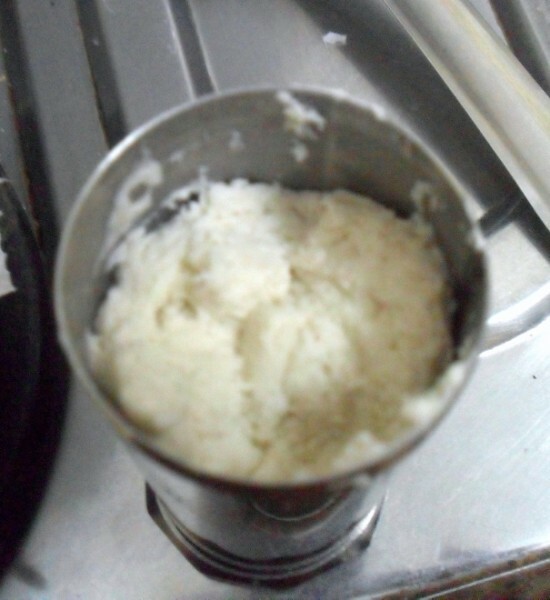 Dont knead it back, instead simply try to put it back. This way the churros have air bubbles inside and still stays crispy. 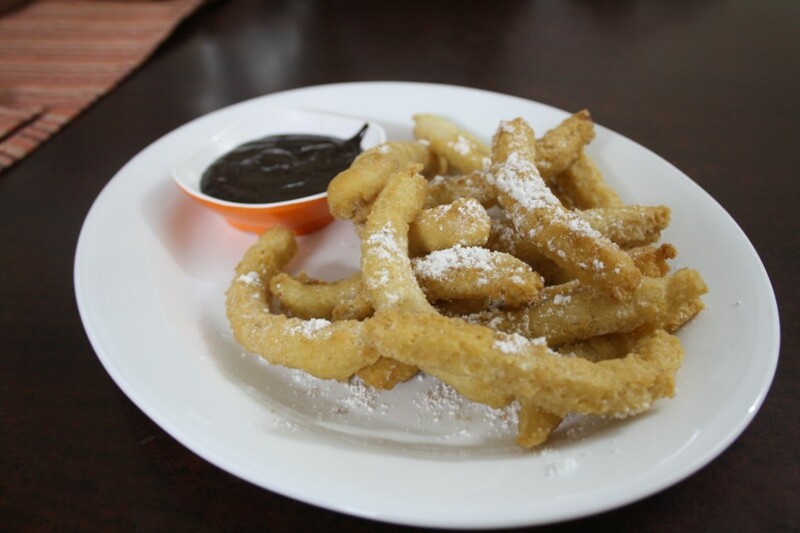 my kid loves Churros, and while it was always store bought for her, thanks for posting an eggless version here Valli – bookmarking ! I would like to part in next BM event….. Kids surely will love anything with chocolate. churros look nice and crunchy. Eggless churros are perfect for kids ! 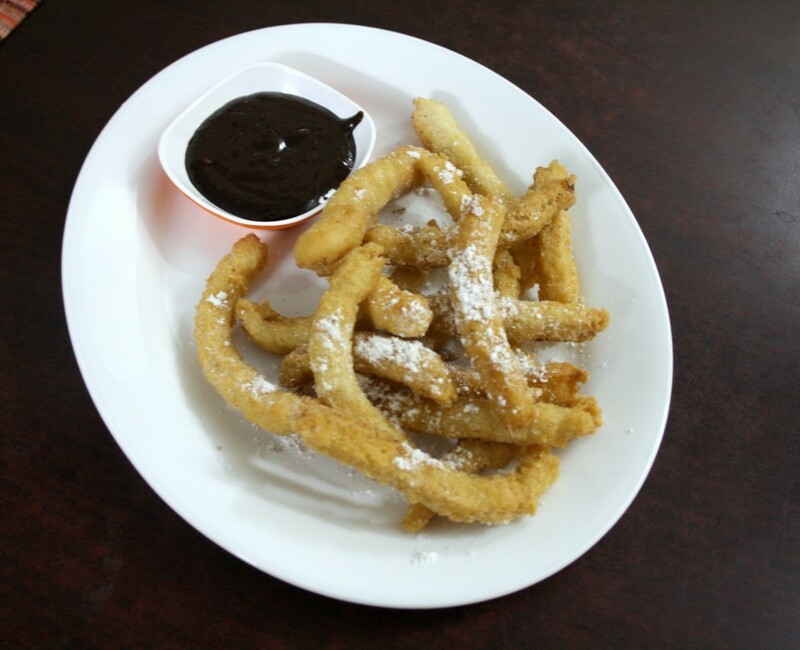 Looks great..
very nice and kids will luv this..
Churros and chocolate sauce, a prefect pair, super like. Perfect for the kids! We adults also can indulge once in a while! Both of us are sailing in the same boat this week Srivalli :). And this snack is something that will lil one will love,esp with that chocolate sauce! One of our favorite snack to buy when we go out.. Yours looks amazing.. they came out great Valli. I son likes these. they are very popular in America because of the Mexican immigrants. these are a popular street food here in NY sold by Mexicans. I have been planning on making them for a long time. I am glad you all liked them.